Did you just read that title and think, “I know what predictive analytics are”? If you did, don’t feel bad, most people I talk with think prescriptive and predictive are the same thing, or they haven’t given it a thought. Predictive comes from the root “predict”, as in “I foresee that something will happen”. In the world of process automation, predictive analytics look for a condition pattern that statistically indicates failure will occur in X [insert your favourite unit of measure] and then it tells you the failure is going to occur. In that way it does predict. Of course, it is easy to predict your car is going to overheat seconds before that temperature light comes on. Prescriptive analytics look for patterns too, and then they do so much more. A good prescriptive approach not only tells you something is going to fail, it tells you when, it provides updates if the failure point changes, what steps should be taken, and how much time is typically required for repair. Prescriptive sounds like a better solution, why isn’t everyone doing it? Here are the top five reasons why prescriptive analytics are not more common in industry. 1. The OEM community has been more than generous in supplying APM software for the assets they produce. There is a challenge that unless you are only using their assets they cannot provide a complete picture. Most APM software is manufacturer centric and will not, nor should it, attempt to cross into managing assets from other manufacturers. 2. To be effective, prescriptive analyses equations look at the whole picture – the asset itself, what is connecting to it, and what it connects to in order to determine the true root cause of a fault. This requires intimate knowledge of each asset type, regardless of the vendor. 3. The inability to seamlessly run calculations over the timespan needed is a major stumbling block in the path to prescriptive results. Everything is fine as long as the data is streaming, but what happens when there is a gap in the data feed? One of two things. The software will make a “best guess” at what the missing data should be, potentially glossing over a key value or fault trigger, or the calculation itself will simply stop and restart itself. In either case the result is no longer trustworthy. 4. When was the last time you had something fail due to a true manufacturer’s defect? Quality control and greatly improved manufacturing techniques have resulted in less failures due to defect and more failures due to wear, which is a function of time. Prescriptive analyses monitoring must be able to span long time periods without loss of result integrity. 5. To be honest with you, in order for any kind of asset analytics to be effective the organization has to be mature enough to handle the outcomes. I can, for example, tell you that you are consistently overloading your haulers on the left front and you will experience premature tire wear and failure. If your organization does not have a process in place to action the result, it is only so much noise. There is no value in noise. A good prescription will tell you something is going to happen and what you can do about it. Great prescriptive, in my world, means I am going to tell you something is going to fall; when it is going to fail; what the impacts are of failure; what steps should be taken; how much time is required to make the repair; what parts are required; and even what other problems are also pending for that asset. Let’s go back to that overheating car engine. Predictive analytic output is similar to the glowing engine temperature light – you know something is wrong and attention is required. Until you get it to the shop technician you don’t know what is wrong, how long you’ll be without your car, whether you have to wait on parts, or how much it is going to cost. You are in a reactive mode. Prescriptive output is similar to having the shop tech, with a laptop connected to your car, sitting in the passenger seat. When that light comes on, you know immediately what you’re facing, your downtime, the parts availability, and the costs. You can make plans, you can be proactive. How do you get to prescriptive results? As mentioned earlier, OEMs and their vendors are not in a position to view your assets holistically and are probably not the best source for your overarching APM solution. Don’t get me wrong, OEMs know their stuff, just not everybody else’s. Look at your advanced APM options carefully. You want someone with the experience and support, someone who leverages expert knowledge and field expertise as well as the statistical data. You want someone who understands that your world is more than simple tire pressures and proximity alarms. Most importantly, you want someone who does not have a vested interest in your asset failing. While you’re out looking at tools that deliver prescriptive results – why not give us a call. 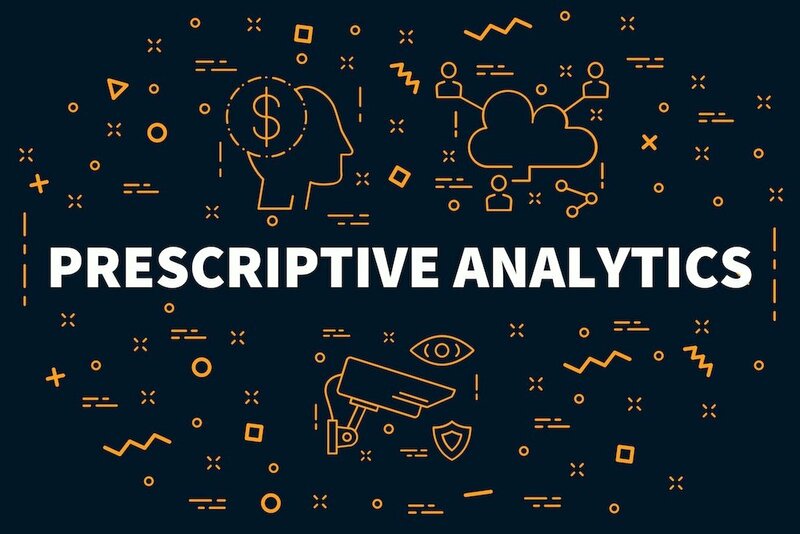 Let’s talk more about what prescriptive analyses can do for you.